Outdoor Kiosk - All Weather! Welk-ko fabricators is your one stop welding and fabrication shop. 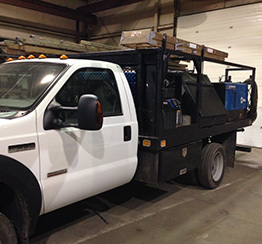 With our fully equipped mobile welding truck we can bring our shop to you. 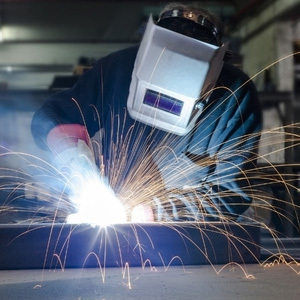 Our specialties include Steel Welding, Cast Iron Repair, Stainless Steel Welding, Aluminum Welding and much more. 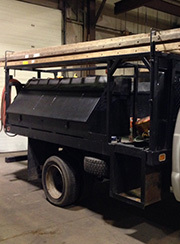 We service all of Southeast Michigan, and offer services for job site repairs and fabrication. 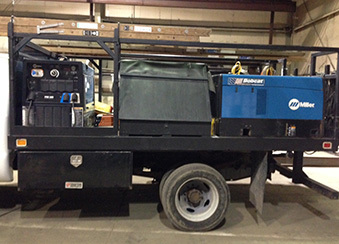 We bring our fully-outfitted "shop on wheels" to you. With everything needed to serve you better on-site.